The engine is three times more powerful than the one on the Falcon 9. SpaceX has done its first test of the Raptor rocket engine that will take humans to Mars as early as 2024, Elon Musk said in a series of tweets. It was fired at the company's McGregor, Texas facility on a stand that can handle the extreme thrust. Pointing out the "mach diamonds" from the test (above), Musk said the "production Raptor goal is a specific impulse of 382 seconds and thrust of 3 MN [680,000 pounds]," more than three times that of the current Falcon 9. 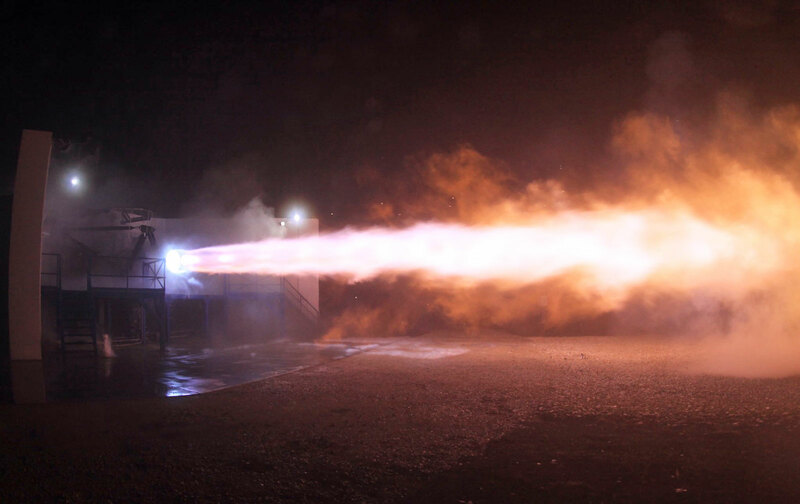 The methane fuel-powered Raptor will be more powerful than any current rocket. It'll eventually lift the Interplanetary Transport System (ITS), formerly known as the Mars Colonial Transporter, loaded with 100 tons of cargo, toward the red planet. The company plans to launch an unmanned craft to Mars by 2018 and get humans there by 2024. That's an ambitious target, especially considering its recent launchpad mishap. Elon Musk will give a speech tomorrow at the International Astronautical Conference in Mexico, titled "Making Humans a Multiplanetary Species." He's expected to unveil the design of the Interplanetary Transport System and overall plan for colonizing the red planet. Musk will also reportedly talk about the budget and try to convince government and the scientific community to help pay for the undertaking. After the recent disaster, a successful test-firing of the Raptor will no doubt help his cause. Update: The Mars Colonial Transporter is now known as the Interplanetary Transport System. The post has been updated with that info, and thanks to the commenters who pointed it out.